I’m kicking off a blog tour this week for Scraps, Inc! I am beyond lucky to be included with 14 crazy talented designers who contributed beautiful patterns to this book. The quilts and patterns are modern and unique. Plus the photography is amazing….and good quilt photography gets me every time! My quilt is Bangles. It’s two simple blocks, put together to become a chain quilt that I think looks a little like jewelry. Thus the name “Bangles”. Have I told you how bad I am at naming quilts?? Horrible. Luckily I’m pretty good at naming kids and that’s what counts. I hope you’ll like this beautiful book and the patterns in it as much as I do…and a big thanks to Susanne Woods for being crazy amazing. Happy Scrapping! PS. The amazing quilting was done by Christina! 24 Responses to Scraps Inc. I really love your quilt! Love this quilt, definitely lots of little gemstone bracelets. It just showed me a 20% discount also. Your quilt is pretty. The book is on my wish list. 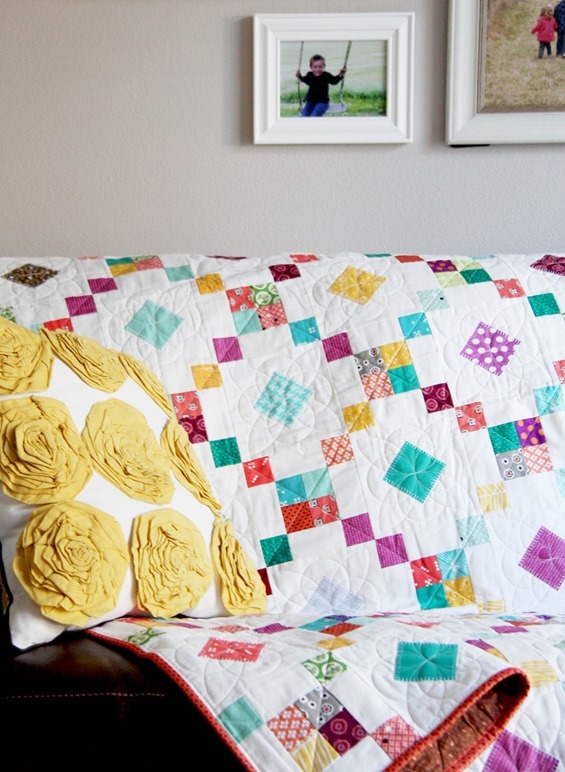 Love the quilt and just ordered the book! Can't wait to "find" it under the Christmas tree. Love it – off I go for the book! OK – about the code – click on the link and it automatically applies a 20% discount. Then go to the check out and put the code in – SCRAPS30 and it will apply an additional 10% off – worked for me – I paid $19.40. An odd way to do it and actually isn't a full 30% but more like a 29% since the last 10% is off an already discounted amount but I'm not going to quibble! I think that is a GREAT name for this quilt!! fun! Again, I love it! everything you design seems to appeal to me… I am in the midst of making a Christmas quilt with your scrappy summer pattern…. apparently it makes a great "scrappy Christmas" quilt too because I am LOVING IT! There is nothing better than scrappy goodness. Beautiful! 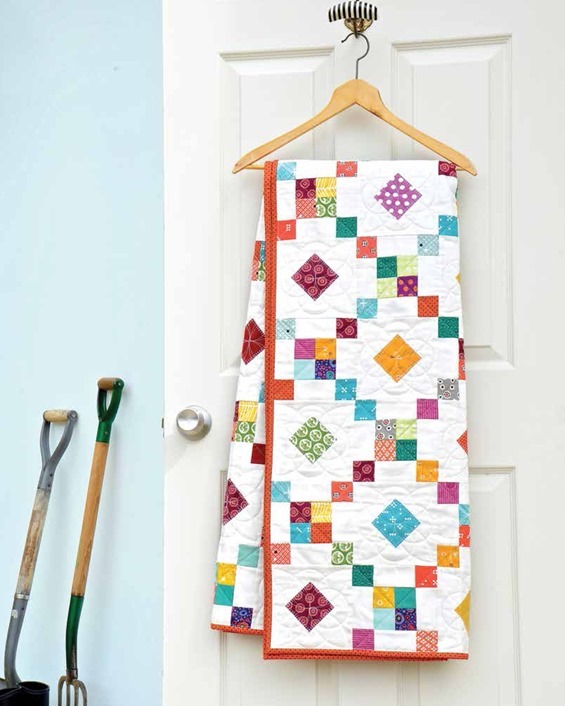 A lovely quilt, the book definitely sounds like my cup of tea – scraps all the way! 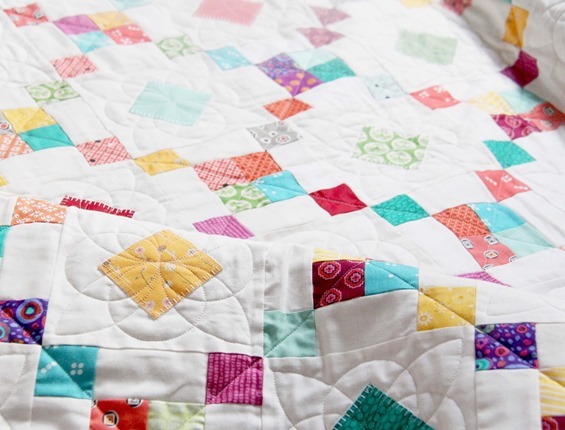 I love scrappy quilts – and like any quilter I have tons of scraps. How do I follow the blog tour? I love scrappy quilts! I'll definitely be checking this book out! Love it! You design the prettiest quilts. Oh and I love the quilt name! :) Don't be so hard on yourself! haha! 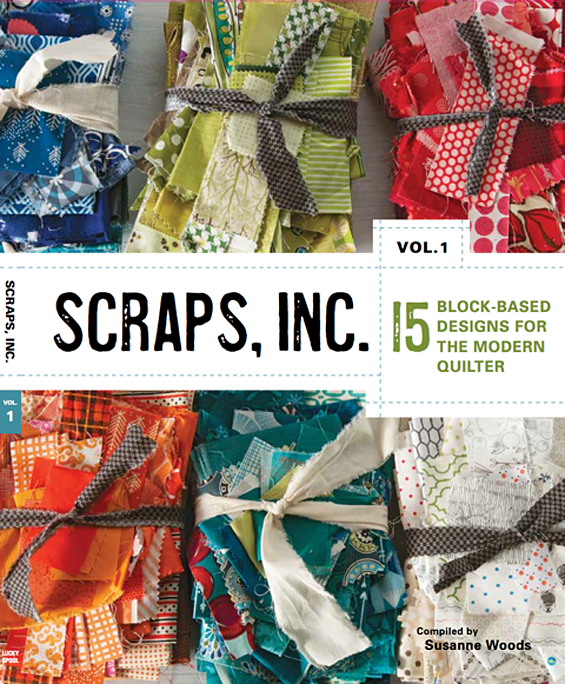 Perfect timing, as I am becoming a scrap-only quilter! I just asked my local library to get the book in so lots of us can peruse it before purchase.